A thriving and diverse London borough, full of bustling businesses, restaurants and bars, Ealing is one of London’s most popular commuter districts. At Surrey Fire & Safety, we have been supporting Ealing residents and businesses with their fire safety strategies for well over 20 years. Whether it’s fire alarms, extinguishers, fire risk assessments or fire safety training services, we have helped with all of them, and in doing so have built a strong, loyal Ealing customer base. If you need help with fire safety for your Ealing home or business, just give our team a call on 0845 845 3001. We can provide free quotes over the phone, or arrange a free site survey if you’re not sure what you need. You probably already know that extinguishers are a key part of your fire safety plan for your Ealing home or business. Surrey Fire & Safety is proud to have been supporting Ealing locals with fire extinguishers for over 20 years and we pride ourselves on our friendly and flexible service. Whatever you need, our professional, BAFE registered, extinguisher engineers can help, wherever you are in the borough of Ealing. Whether your extinguishers are due a service, you want to buy a few more, or perhaps are hoping for some good, old-fashioned advice, get in touch (0845 845 3001 / info@surreyfire.co.uk). Because our team is in and around the Ealing area on a daily basis, we can often arrange next-day or same-day appointments, to give you peace of mind as quickly as possible. 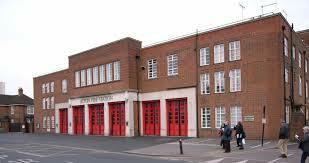 If you need help with fire alarms for your Ealing home or business, then look no further. Our team of professional fire alarms engineers only work to British Standards, and cater for all aspects of fire alarms in Ealing and the local area. Nowadays it’s generally recognised that a fire alarm is one of the best ways to protect your premises from fire. We are able to advise on the best type of fire alarm system for your Ealing property and offer Ealing fire safety surveys absolutely free of charge. Whether you need a conventional, addressable, or wireless fire alarm system, we are certain we will provide a competitive quote and quality work – after all, hundreds of fire alarms customers can’t be wrong! To speak to a member of our professional team, arrange a free site survey, or ask for a quote, please just call us on 0845 845 3001 or email us at info@surreyfire.co.uk, we'll be happy to help.